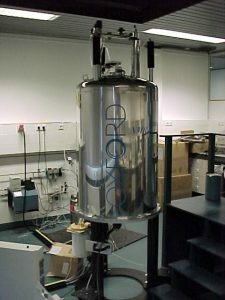 NMR is commonly used to investigate organic molecules, typically using 1H NMR and 13C NMR. However, NMR can be used for all samples that contain molecules that have a nuclei with a spin. SyMO-Chem regularly performs 1H NMR measurements (with different types of solvents: CDCl3, D2O, DMSO-d6…) and 13C NMR, although other cores are also available such as 19F and 31P. In addition, 2D NMR techniques can also be carried out to obtain more information on the molecules (COSY, HSQC, HMBC, NOESY, ADEQUATE etc. ).